"Tom Brown" is arrested at the airport on his way home for winter break and charged with possession of cocaine when a drug sniffing dog detects traces of the narcotic in his caryy-on bag. Some of the money he is carrying has apparently been contaminated with cocaine. 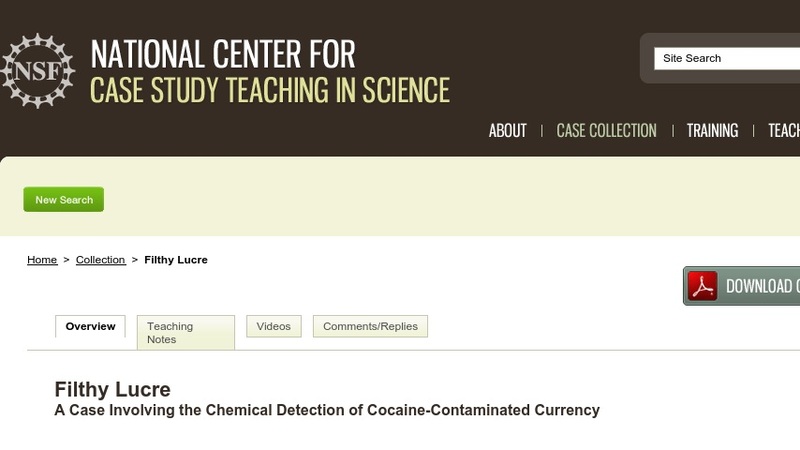 Students are introduced to concepts in experimental design, sampling, the interpretation of scientific data, and the reliability of results as they design an experiment to determine what percentage of paper currency is contaminated with cocaine. The case includes lab work involving the use of GC/MS techniques and instrumentation. The case was designed for a chemistry course for non-science majors.